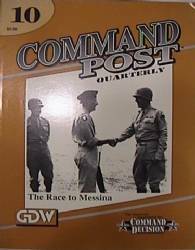 The finest rules on World War II warfare are back in this new and improved edition. 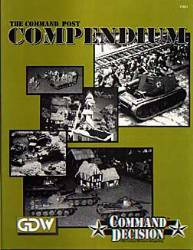 Streamlined, better playability and richness of detail sum up this definitive edition. 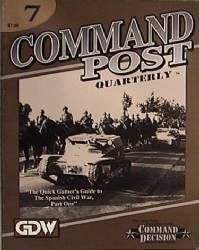 The package includes: 1 basic rule book, 1 advanced rule book & campaign & scenario bits, 1 sheet of color counters printed both sides, 1 referee's screen, 1 data booklet, 1 commanders notes & tent card. 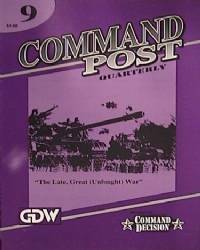 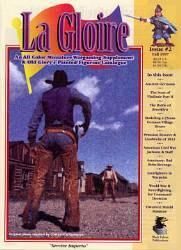 This is a magazine for Command Decision III. 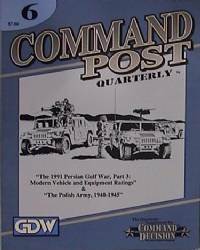 "The 1991 Persian Golf War, Part 3.: Modern Vehicle and Equipment Ratings" and "The Polish Army 1940 - 45"
This is a magazine for Command Decision III. 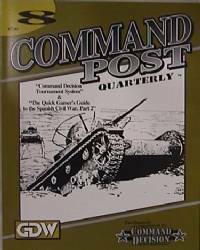 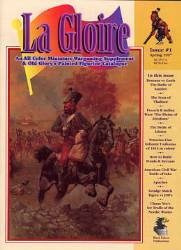 "The Quick Gamer's Guide to the Spanish Civil War, Part 1"
This is a magazine for Command Decision III. 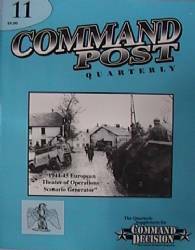 "Command Decision Tournament System, and The Quick Gamer's guide to the Spanish Civil War, Part 2"
"The Late Great, Unfaught War"
"1944-45 European Theater of Operations Scenario Generator"